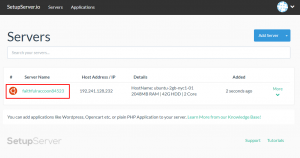 First you need to create a fresh virtual servers.To know how to create one, see our documentation for creating new Virtual Servers from Digital Ocean or Vultr. ServerName – user can provide his/her own Server Name to identify the server or else it will be randomly generated. 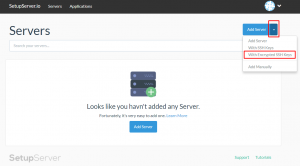 Host Name – Host name is an IP Address provided to you by your server provider. 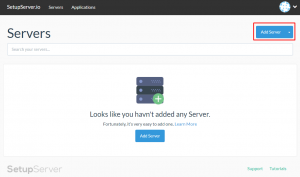 User ID – This is provided by server provider when you create Fresh Server. 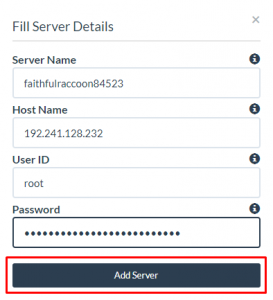 Password – Password that you use to connect your new created server which is either provided by server provider or the user have to manually set it before creating the server.For eg, Digitalocean provides user id and password via mail system when you create the server while Assure asks the user to enter the root password to connect the server before creating one. 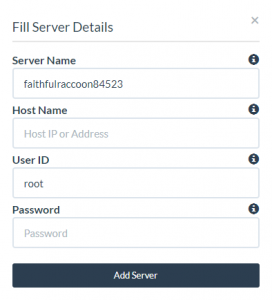 After filling all the above details click on “Add Server” button on the Modal. Once your installation is complete, the page will be refreshed and your server will be displayed on the dashboard. Now your server is successfully added to SetupServer. This server is still new server or fresh server and yet to be configured before use. To see how to configure your server using SetupServer, see our documentation on How to configure server using SetupServer? 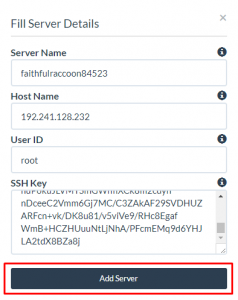 First Login to your Setupserver.io Account and then click on the drop down arrow beside “Add Server” button on the upper left side of the screen and click on “With SSH Keys” to add Server using SSH keys. 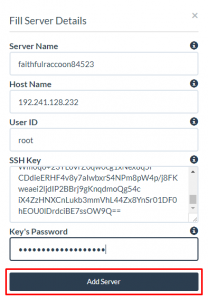 SSH Key – The user has to enter his/her own private SSH key to connect the server. 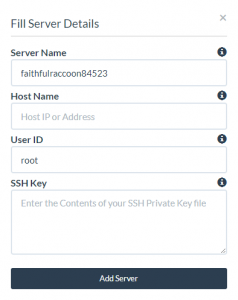 First Login to your Setupserver.io Account and then click on the drop down arrow beside “Add Server” button on the upper left side of the screen and click on “With Encrypted SSH Keys” to add Server using SSH keys. 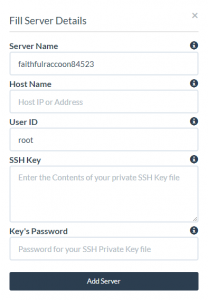 Key’s Password – User has to enter the SSH key’s password which is used to encrypt the SSH key file.